BURLINGTON, N.C. – A group of more than 200 members of National Agents Alliance and Foresters painted walls, hammered and constructed benches and picnic tables, shoveled mulch, constructed a deck, planted flowers and shrubs and sweated for a couple hours, resulting in a major upgrade for the Salvation Army Boys & Girls Club of Alamance County on July 17. 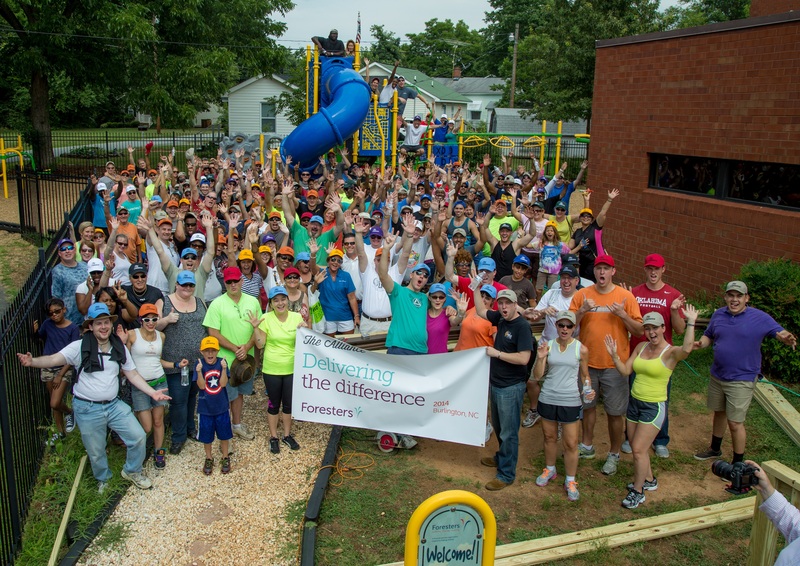 Decked out in different colored hats with The Alliance on the front and Foresters’ logo on the back, volunteers from all over the United States continued a project that started almost a decade ago with the addition of a playground in 2006. The project was part of Foresters’ “Delivering the Difference” program, which aims to improve the quality of life for others. The upgrades will be enjoyed by more than 100 children daily in Alamance County, and Sherri Henderson, executive director of the local club, said it was a blessing to have companies like Foresters and National Agents Alliance provide support to the club. Previously, Foresters and NAA teamed up to “make a difference” in places like Fiji, Grand Cayman and St. Lucia. NAA President and CEO Andy Albright said this was just another example of The Alliance giving back and helping people. A number of representatives and executives from Foresters volunteered along with The Alliance, and the event was a huge success. The project included spreading new layers of mulch, checking and tightening nuts and bolts on the playground structure, building benches and a massive deck for children to interact in an outdoor environment. Volunteers constructed cabinets, painted cubbies and walls and installed hooks for children to hang book bags on. This is the second upgrade provided by NAA and Foresters at the Alamance County club, with the first coming in 2006 through a project called KaBOOM! 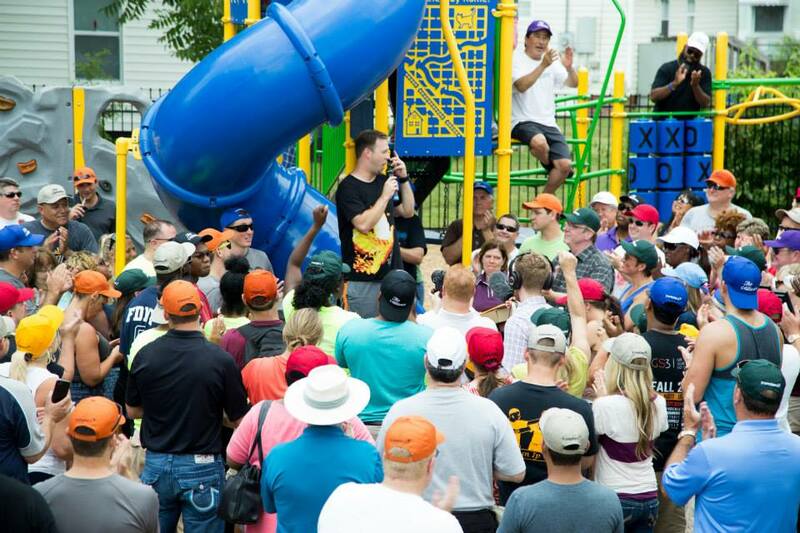 that involved tearing down an old playground and installing a brand new playground for children in Alamance County. Read more in the Burlington Times-News!